Amy Smith has a total of over 20 years of experience in assisting individuals and companies with their financial needs. As a result of this experience, she fully understands peoples’ concerns relating to their long-term financial well being as well as the importance of developing the trust and confidence essential to longstanding client relationships. Additionally, She is very much aware of the role that personal values, family concerns, and emotions play in both the formation and implementation of suitable/appropriate financial strategies. Amy Smith is a co-founder of Dermann & Smith Personal Wealth Management, L.L.C. and a CERTIFIED FINANCIAL PLANNER™ professional(CFP® professional), with more than Twenty years in the financial services industry. Prior to her current affiliation, she managed the operations and administration functions of a prominent regional financial services Practice. Amy’s focus is primarily on providing personalized assistance to individuals and small businesses in the areas of financial planning and investment management, with specialized expertise in assisting women with their particular financial-related needs. Prior to her career in the financial services industry, she served as an Officer in the United States Army with assignments in the areas of finance, personnel, and operations management. Amy is a Registered Investment Representative with Raymond James Financial Services and also licensed in the areas of health and life insurance. Amy is a graduate of the United States Military Academy at West Point where she majored in Management. She is also a member of the Financial Planning Association. Amy is the owner of a Newfoundland named Angus. She is an avid tennis player and a member of the Lexington Tennis Club as well as the U.S.T.A. She has also qualified for and ran in the Boston Marathon and represented the state of Kentucky in The United States Tennis Association’s Southern Sectional tournament at the 4.5 level. Check the Background of this investment professional on FINRA’S BrokerCheck. Certified Financial Planner Board of Standards Inc. owns the certificate marks CERTIFIED FINANCIAL PLANNER™ and CFP® in the US. 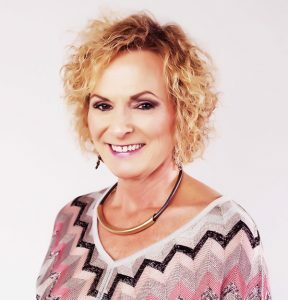 Mindi Thore is the Client Service Manager for Dermann & Smith Personal Wealth Management, LLC. She has over 25 years of experience in the Financial Services Industry. 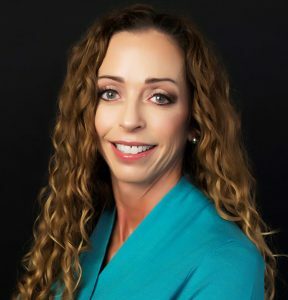 She has worked for other major brokerage Practices prior to coming to Dermann & Smith Personal Wealth Management, LLC, in Operations, Management, Client Development and Client Relations. She also has a background in Banking, Bookkeeping and the Insurance Industry. Mindi attended Kentucky Christian University and Lexington Community College with an emphasis in Business. She has achieved training courses in understanding the Stock and Bond Markets as well as continuing education courses as required by Raymond James. Mindi enjoys traveling, exercise and entertaining in her spare time. She is a member of Women Republicans of Central Kentucky. She also does volunteer work for her church as well as the Community. To receive our next e-newsletter, enter your email address here. This site is published for residents of the United States only. Raymond James Financial Advisors may only conduct business with residents of the states and/or jurisdictions for which they are properly registered. Therefore, a response to a request for information may be delayed. Please note that not all of the investments and services mentioned are available in every state. Investors outside of the United States are subject to securities and tax regulations within their applicable jurisdictions that are not addresses on this site. Contact your local Raymond James office for information and availability. *Diversification does not ensure a profit or protect against a loss. There is no assurance any strategy will be successful.